Two opposing county chairman were sharing a rare moment together. The Democratic chairman said, "I never pass up a chance to promote the party. 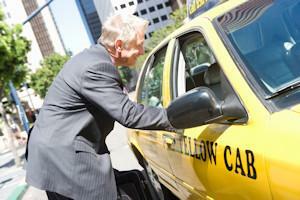 For example, whenever I take a cab, I give the driver a sizable tip and say, 'Vote Democratic.'" His opponent said, "I have a better scheme, and it doesn't cost me a nickel. I don't give any tip at all. And when I leave, I also say, 'Vote Democratic.'"